When you choose Day & Night® heating and cooling equipment, it means your home comfort is backed by superior engineering and quality manufacturing so you can enjoy more important things. Each unit is 100% run tested, and Day & Night design their products to give you the best in quality, energy efficiency and reliability. The variable-speed blower in the Constant Comfort™ Deluxe 98 Gas Furnace means you’ll enjoy better summer dehumidification and a possible SEER boost as your furnace works with your cooling unit to help pull moisture out of the air. Pair it with a compatible air conditioner for full fuctionality and a full communicating system using the Observer® communicating wall control. 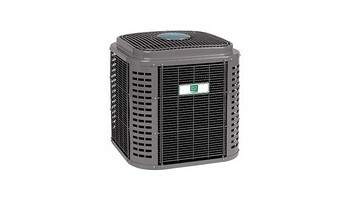 Now you can beat the heat with Day and Night's highest efficiency packaged air conditioner. Its two-stage scroll compressor and multi-speed blower motor quietly deliver the best in home cooling comfort through better dehumidification and temperature control. When you put in this system. You know what you're getting. Made heavy durable long lasting. A system like no other system. When your kids are sleeping in their beds at night and it's 20 degrees below zero. You will sleep comfortable. Because you know you have a furnace that you can rely on. When installing this furnace you install comfort inside your home. After installing a Day and Night furnace it comes with a 20-year warranty on heat exchangers. If its an 80% efficient single stage furnace. If you install a 96% efficiency variable speed forced air system Day and Night furnace. You have a lifetime warranty on the heat exchanger and a 10 year warranty on parts and labor. 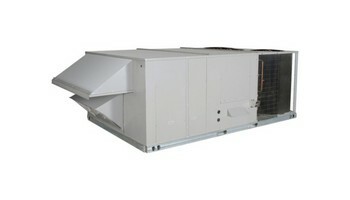 A Day and Night furnace is a very reliable forced air HVAC system. If you're looking to install a Day and Night furnace today. Call The Price is Right Heating and Cooling for professional installs. Install a Day and Night furnace. these furnaces are one of the most advanced forced air system out there. 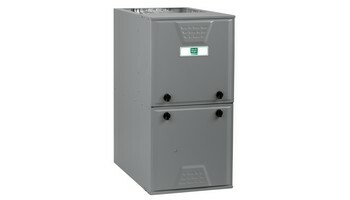 A Day and Night furnace has excellent warranties on there heat exchanger. These furnaces come 80% efficiency single stage systems.80% efficiency two stage systems. They also have a 96% efficiency single stage furnace and two stage furnace. The 96% efficiency variable speed this is the top-of-the-line. The Best of the Best. This forced air system you can rely on. To keep your family comfortable all year round. Call The Price is Right Heating and Air Conditioning company. For furnace servicing cleaning and checking all forced air systems. Day and Night furnaces our one of the best systems that you can depend on. These amazing systems are designed and manufactured by the best engineers that are in the field today. To install a Day and Night furnace in your home. Is to install comfort and reliability in your home. Day and Night furnace when installed properly. Can actually give you 25 - 30 years equipment life. You must get all of your equipment cleaned and checked every season. Maintaining your furnace and air conditioning system every year is very important. How to install Day and Night furnace today. Call The Price is Right Heating and Cooling company. HVAC furnace install is what we do every day. Our Day and Night furnace installers are top professional working with all makes and models. The Price is Right Heating and Air Conditioning knows how to fabricate, insulate, troubleshoot, and demolish. Professional HVAC installers. These are the people that you want to be working for you. A Day and Night furnace installing can provide you with heat this Winter. They go through hell and still run. It's hard to break a Day and Night furnace system's down. They keep on going and going. Install a Day and Night furnace today.